Really annoying but with the past few versions of Local. It’s been like this for at least a few months. In short, somewhere along the line the version of boot2docker shipped with Local started breaking my local-by-flywheel VM. My only ‘fix’ is to go into my machine backups and grab a copy of the boot2docker.iso image and replace the one which Local keeps updating. With the default boot2docker.iso file in place, Local hangs waiting for an IP. So I then booted the VM directly in Virtualbox in normal mode so I could see what happens. I can see a kernel panic happening almost immediately. 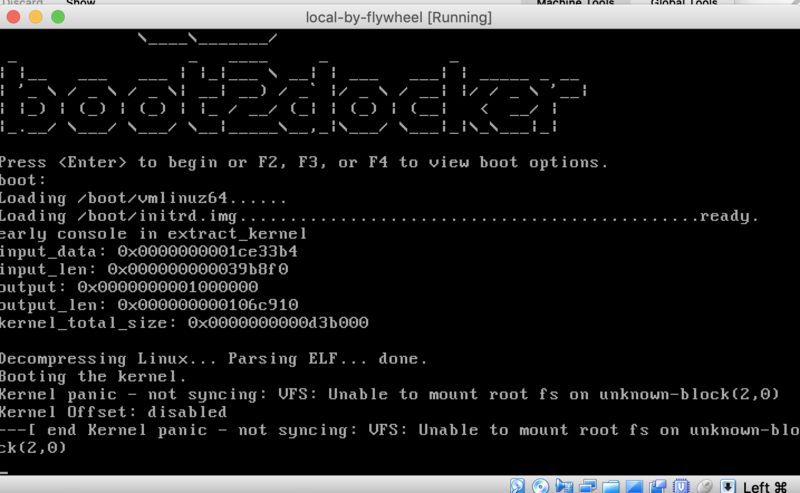 As soon as I drop in my older boot2docker.iso into ~/.docker/machine/machines/local-by-flywheel and then boot the machine again in normal mode the VM boots with no issues. I can then load Local and use normally. But a couple of days later it looks like the .iso file is again replaced by the newer version and I’m back to square one. Hey guys - anyone from Flywheel checking the forums lately? This is very interesting. What version of boot2docker are you downgrading the VM to? Also, are you running Local 3.0.4? Local 3.0.4 (as per original issue report). I wasn’t sure it the version number 17.05.0-ce was the boot2docker version or the Docker version number. My bad! Thanks for clarifying. Thanks for the screenshot. That’s interesting since it’s quite old (May 2017). Can you provide a screenshot of the kernel panic by chance? 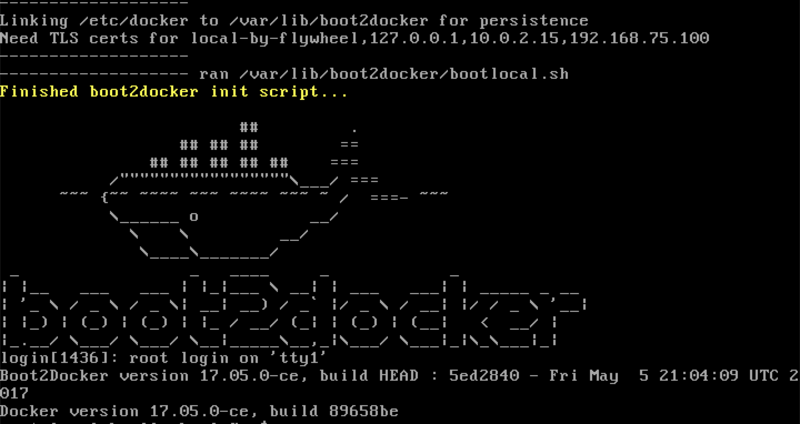 To re-create the panic, I simply tmp renamed my version of boot2docker.iso that works to something like boot2dockerworks.iso - then I open Local, which drops in a fresh copy of boot2docker.iso. in my case, what I’ll do now to get back up and running is shut the machine down - drop back in the older boot2docker and boot the machine in Virtualbox, then when I open Local everything works correctly instantly.